I haven't forgotten our habit study. The truth is, I've been thinking almost incessantly about a habit I have to change, a new rail I need to lay down, before any other habit will take hold in this house. I got a note from a young mom the other day. She's in her mid-twenties, with four children and she's really got me thinking. I told her that I think she is a lot like me. She wants to do the very best she can with her husband, her children, and her home. She wants to let God plan her family. She wants to grow in holiness. She wants to connect with like-minded women. She wants to be alone. She's wondering if she'll ever hit her groove. I'm wondering that about myself, too. The biggest difference between the young mom she is and the young mom I was is that she has internet access. I didn't. I didn't get online until I was over thirty, didn't really communicate with other people online until I was thirty-two. And I think it might have been better that way. Maybe it's going to be an annual late summer ritual; I'm going to go back and think about the way things were and compare it to the way things are and try to find my own groove. I was chatting with an old friend today about the mom I was. This is my oldest "mom" friend of all. We met in a pre-natal exercise class when we were pregnant with our first babies. We grew up together. We grew into our roles as new wives and mothers together. We knew each other inside and out. So, I began to wax sentimental with Martha and she was as practical as always. "There were fingerpaints outside. Remember the time we let them paint with their feet on the deck and then slide into the baby pool and make the water all colored? Remember how my house always smelled of fresh-baked bread and Murphy's Oil Soap?" "I remember," replied Martha wryly, "that you wore the finish off the floor because you were addicted to that smell." "O.K. So maybe it wasn't perfect," I agreed, "but it was more peaceful." "Um," she ventured, "You have eight times the children and you're going in a million different directions trying to meet the needs of absolutely every stage of child development..."
Well, yes, there's that. But still. There is something stirring restlessness in me that wasn't there years ago. I talked to another friend, my closest friend in the world. "I think it's the internet," I ventured. "I don't think it's possible to live a recollected life and be plugged in." "And there you go again," she said. "Everything is black or white. Plugged in or unplugged. No middle ground. Here' s the problem you're hearing with your young mom correspondent and you're seeing in yourself: you reach a point in your day when you want a bit of time alone. You're feeling needy. Instinctively, you know that time alone is how you recharge. Years ago, you might have spent that time with a book or a magazine or your Bible. You might have called a friend. You might have sat down to write, but you would not have published instantly. You would have been writing because writing brings you peace. But now, you think you're spending time alone, but you're really connecting with all these different people in all these different places. You're getting tons of input and sensory stimulation. And then you think you're nurturing relationships, but really, it's very rare that a true friendship uses a keyboard as a medium. I just don't think people are created that way. In the end, the place you go when you're feeling depleted, the place you look for shoring up, ends up sucking the last little bit of energy from you." My young friend wants to know how much time is okay to spend alone. And I've pondered this for quite some time. I think we need time alone. Some of us need more time than others. I don't think time spent on the computer is time alone. There is the rare e-mail friendship that involves long "letters" that might qualify as time spent shoring up. But the time spent surfing for ideas from decorating to dinner (not to mention researching educational philosophy) is not time spent alone. The time spent on message boards, blog comments, and email loops is not time alone. It's time in a crowd, sometimes a very large crowd. And it has much the same effect. I've spent a fair amount of time in doctors' offices this week. From orthopedists to obstetricians to radiologists (and back around in circles), I noticed one thing: everyone was working. The people in scrubs, the people in lab coats, the people in office attire, no one was slinking away from her work to check her mail, contribute to an online conversation or surf for craft ideas. Mothers at home have more freedom than all those people I watched work this week. We can call the computer from its sleep mode "just for a minute" to do any or all of the above tasks and no boss is going to frown upon the habit (or worse). But a habit it becomes and a minute becomes ten or twenty and then we go from just clicking and reading and start to write a response and suddenly the afternoon is gone. Or we don't write a response, but we arise from our chairs troubled by something we read and we hold it in our heads as we go about our daily rounds, and we wonder why we feel frazzled. "I just want to bake bread and wash the floor," I insisted again to Martha. "You are allergic to wheat and Christian washes the floor now, " she reminded me. Slowly, I recognize that it's not the bread or the soap or even the paints (though I intend to do that with my little ones tomorrow). It's the quiet thoughts I carried in my head while I did those things. Mothers were made to nurture. We nurture babies. We nurture little girls who look to us as examples of what they are to become. We nurture restless teenaged boys. We nurture young adults who are boldly going forth in the world. We nurture a love with a man who is called away from us and into the world in order to provide for our basic needs. Mostly, we nurture relationships. And real relationships require thoughtful time and attention. They can't be a click away. They require the investment of energy and understanding. They require prudence and forgiveness and genuine charity. It is true that in our lifetimes we might find one or two of those friendships online. But that is all. Just one or two. And those friendships will more than likely grow and flower over much time and many long, thoughtful letters and many more phone conversations. They will not remain confined to the screen and the keyboard. Most of our genuine friendships, most of the contacts that will fill us rather than deplete us, are the ones we nurture face to face and the ones where we are nurtured in return. They'll be the friends who watch your first baby when you go to the hospital to give birth to the second. They'll be the friends who sit in stunned silence at playgroup while the doctor on the phone tells you that you must arrange for a CT scan immediately. And they'll be there when your hair is falling out and you need a second opinion on a wig. They'll help you move and set up housekeeping in your new house. They'll be the extra set of hands you need the first time you attempt to nurse both your baby and your toddler following an unexpected C-section.They'll understand how fragile you are in the months after your first child leaves for college and they will be kind, very very kind, when the whole world seems like a hostile place. I can't tell my young correspondent how much time to spend online. I can't even seem to set those hard, fast parameters for myself, but I can offer this: make sure the time you spend is really nurturing you. Make sure it's making you a better wife, a better mother, a better Christian. Your time is so precious and your time alone is so scarce. Make it count. Make it matter. More thoughts on how this looks for me here: Time Online, Revisited. Education is a life! Isn't that the truth? I think I'm most aware of this truth when I consider how much I've been educated since leaving formal education. First, there was a "unit study" on marriage, with a little rabbit trail on weddings. Running along at the same time was a study of real estate. These studies were followed quickly by an intensive study of pregnancy and childbirth. Then, there was the all night cramming as I learned about breastfeeding and launched a lifelong study of child development. All too soon, we were knee deep in books about surviving cancer. That's a lot of learning in the first three years after college! The common thread throughout these studies was my own intense interest. I wanted to know. Instinctively, I searched out the best resources: books written by people who cared about the subject at hand and long talks with experts in the field. And there was prayer. My husband and I prayed incessantly through that time of intense education. When I consider the education of my children since then, there are certainly similarities. I have tried to provide for them in our home and in our adventures together away from home an education that is infused with living ideas. I've tried to bear in mind always the admonition of St. Edith Stein: "The children in school do not need merely what we have but rather what we are." And so I have hoped and prayed and worked to give them the best of what I am. Authentic Catholic education relies on and includes all that is true, good, and beautiful---in short, everything that points the way to God, the source of all truth, goodness and beauty. My favorite "definition" of living books comes from Educating the WholeHearted Child. I stop now and consider my plans for next year. Are living books the backbone of the studies? Am I choosing and presenting to my children the best of what passionate authors and illustrators have to offer? I admit that writing seems to come as naturally as breathing in my household. My children write almost as readily as they play soccer. And the similarities do not escape me. My husbands writes sports television shows. His area of expertise is soccer. I write a little too;-). (I do not play soccer.) Narration is natural in our verbal household and even my student who struggles most is able to write well. What exactly is narration? The cornerstone of a real life, real books education is narration. When a child is read story or reads it himself, he is required to retell it, with as much detail as possible, after paying attention to the first and only reading. After a trip to an historical site or a day in an apple orchard, the same method is employed, encouraging the child to use rich, descriptive language to tell about what he knows and cares about. young children narrate orally, with Mom occasionally transcribing what is said. Some young children will naturally use drawings to express themselves and these, too are narrations, either with or without captions. The benefits to this approach are numerous.Because they are required to narrate after hearing a story or passage read only once, children learn quickly to pay close attention to that reading.They also learn to pay the same attention to the many facets of a field trip. The more details they notice, the more detailed their narrations.Children as young as four can be trained to be very observant and to retell stories and events with amazingly complex, textured language and sentence structure. It is the ideas in the stories or the experiences that fuel the narrations. These products, child-produced oral histories or essays, are a far cry from fill-in-the-blank workbook pages or the questions at the end of a textbook chapter. For small children, copy work is a handwriting practice: First a letter, then a word, then a phrase, then a verse. All are done to the very best of the child's ability and saved in the notebook. Excellence is expected. So, how, exactly does this work? For the very young child, I simply dictate the words and sentences from the phonics patterns and storybooks we are studying. Our phonics lessons are extracted from rhyming books primarily. As the student becomes a capable reader, dictation passages are taken from copy work material. First, we read and discuss material, noting grammatical patterns or spelling of note, The next day , the child copies it (this may take two days). The third day, he studies it. Then I dictate to him as he writes it. The copy work and final dictation go in the the notebook. Music appreciation follows a similar pattern. I choose one composer every six weeks. We read a little about his life and listen to a Music Masters CD which intersperses his music with an interesting biography.Once a week, we repeat the cassette. Then we play the music often--very often--for six weeks. At the end of the six week period, the children offer narrations of the composer's life ~ Real Learning. Do take advantage of the free Book of Centuries download at Simply Charlotte Mason. Well, all I can say here is that those gnomes sure are hands-on(look for more adventures in the fall)! And we like Math-U-See, too. If you are a nature study novice or if you are in need of a reminder with regard to hows and whys of nature study, start with MacBeth's Opinion. Little else is necessary to get you started.MacBeth is the the master of outdoor education and an inspiration to everyone who is blessed to hear or read her wisdom. We must assist the child to educate himself on Nature’s lines, and we must take care not to supplant and crowd out Nature and her methods with that which we call education. 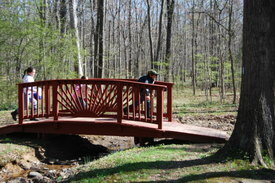 Object-lessons should be incidental; and this is where the family enjoys a great advantage over the school. The child who finds that wonderful and beautiful object, a “paper” wasp’s nest…has his lesson on the spot from father or mother~Parents and Children. The plan is to discuss Hours in the Out-of-Doors: A Charlotte Mason Nature Study Handbook right after we finish Laying Down the Rails. And Laying Down the Rails starts next week! Tell us all about how education is a life in your home and and how you implement Charlotte Mason's methods as you and your children pursue an authentic education. Be sure to leave a link to your post. If you don't have a blog (or even if you do), feel free to join the conversation at the message board. The rest of the series is here. As we continue our book study of Education Is... , we mothers get a swift kick in the pants. The second component of Charlotte's three-pronged approach to education is often the one that is most challenging to parents. Education is a discipline and we--the adults--are called quite clearly to a life of personal discipline as we disciple our children. We are reminded in this section that we "sow a thought, reap an action; sow an action, reap a habit; sow a habit, reap a character." If we follow the adage to its logical conclusion, our character is the sum total of our habits. I stop there for a moment and think about my habits. Where do I habitually spend my time? My money? What are the tracks my life usually follows? When given a typical choice, which fork in the track do I take? These are the daily decisions that aren't even decisions any more. They aren't intentional or conscious--they are just "what we do." But if we stopped and thought about them, and if we weighed them in light of what we want our character to be--indeed, what God wants our character to be--are those the choices we would make again and again over the course of a lifetime? Whoa, Nellie! Hang on! I thought we were talking about educating our children! What's all the early morning introspection about our own characters? In my mind, it's a logical train of thought. When I read about laying down the rails of good tracks of character in the lives of my children and training them in order to cultivate healthy habits, I recognize immediately that this is going to take some serious self-discipline on my part. I need to be disciplined in order to provide an education that is richly disciplined. 1. We should put intentional thought and effort into forming habits. There it is again: intentional. This is the same mindfulness that was woven into the musings on homemaking. To me, intentional is what happens when I ponder what I want life to look like. I think about a a certain component, whether it's the smooth running of my household or the academic development of a child in his last four years at home, or the nurturing of a love of literature, and I mull it over. I think about it as you take a walk in the morning, the rhythm of stroller wheels setting the cadence of my thoughts. I discuss it with my husband before I go to sleep at night. I pose questions to Our Lord again and again as I offer it in prayer. Then a plan begins to take shape in my thoughts and soon, the plan can be put into action. It is intentional action. It is a thoughtful, prayerful approach to life itself. 2.It's not always easy to administer consequences but our children's futures depend on our faithfulness and efforts to do so. I think the most helpful thing for me in this regard is to ask myself--when I watch my child do something that he shouldn't-- if I want to nip this in the bud or if I want to deal with the bigger, uglier thing it is likely to become if it goes unchecked. Always, I decide it's worth the effort in the moment. Always. "In many cases, the natural consequence of the child's fault is precisely that which it is [the mother's] business to avert, while, at the same time, she looks about for some consequence related to the fault which shall have an educative bearing on the child: for instance, if a boy neglects his studies, the natural consequence is that he remains ignorant. ; but to allow him to do so would be criminal neglect on the part of the parent"(Vol. 1, pp. 148, 149). 3.Habits can become stronger than natural inclinations. I am so glad this is true! Sometimes, my natural inclinations are not so virtuous. But we have free will and we have hope and we can override those natural inclinations. I did get a chuckle out of the quote, though. I can't imagine having obedience training accomplished by the time a child is a year old. By two maybe, reserving the right for refresher courses, but not by a year. 4.Education should deal with character issues, not just acquiring a certain amount of knowledge. In a way, I think this is why we educate at home, in our family. I want the time to devote to the character issues. And I want them to spend more time under the influence of adults striving for holiness instead of other children in formation (or not). Of course, this comes full circle to the idea that habit training is as much about us as them, or more. If I have them home because I think that I can exert a better influence on them than a classroom full of ten-year-olds, I better hold myself accountable for being that good influence. I need to begin every day praying for the grace to be a good mother, a good disciple of our Lord, a light in darkness and a beacon of Christ, our Hope. In essence, I will never deal effectively with my children's character issues unless I deal with my own. 5.Incessant watchfulness and work are required for forming and preserving habits. 6. Cultivating good habits makes up one-third of our children's education. Hmmm...I pause here to ask myself if I have considered how to cultivate good habits as much as I have considered which books to buy. And then I wonder if I've spent as much time pursuing good habits as I've spent acquiring curriculum, particularly when I consider the time spent acquiring the money used to purchase curriculum. One third of education is habit training. One third. 7.The effort is in the forming of a habit; once it is formed it is no longer strenuous. If that's not inspiration, nothing is. Spend the time now, on myself and my children, and we can live in virtue. Seems like a very worthwhile investment. Pick one habit: Don't overwhelm yourself with trying to right every wrong at once. Focus on habit per child at a time and then keep a watch over habits previously formed. Be vigilant and consistent: This requires grace. Pray, pray, pray for the strength to be consistent, for heavenly shoring up when you're just so tired. Share living examples: In addition to Sonya's suggestions, we can tap into the lives of the saints for examples of real live people who chose virtue. Apply appropriate consequences: All of life is about consequences. " Consequence" is a not a dirty word. It's a good thing to help children understand early that their actions come with consequences. Encourage don't nag: Expect the best in your children and convey to them that you have every confidence that they can be that best. And expect the best in yourself, but don't nag yourself either. Watch what your saying in your head. Are you encouraging yourself? Are you praying for grace? Or do you have a running tape of negative recriminations going all day long to remind yourself how hard this is and how short we fall of the glory of God? What would the Lord say to you? How would his mother speak to you? Speak to yourself the same way. Finally, Sonya reminds us that discipline brings freedom. It brings joy. It bring the fullness of life in Christ. Journal what you're thinking about discipline. I'd like to read your thoughts. And remember, Education Is... is a free download. Lots of good thoughts to ponder as we look ahead to a new school year. Feel free to grab the button at the top for your blog posts. I upgraded my Mr. Linky membership and I still can't get Mr. Linky to talk with Typepad. So...comments are open for links to your journal entries. I don't mean to exclude folks without blogs, but I just can't moderate conversation and cultivate good habits in my home at the same time:-). There's a discussion going at the message board, too. A few weeks ago, I read a thread from a Catholic attachment parenting list. The thread expressed concerns with this post. Ironically, when Sally wrote her essay, she was addressing those who thought that we cannot parent effectively without spanking. The people who were objecting to my post were objecting to any discipline or training at all. Attachment parenting has never advocated a “no consequences” approach. It has promoted a deep attachment to the child and a gentle (but firm) discipline style. Gentle discipline does not mean lack of all discipline whatsoever. In the post I read, a brief time alone as a means of correcting a child is likened to abandoning the child. I was asked, “when did God ever abandon us?" He didn't and He doesn't. But Jesus spent time alone in the Garden of Gethsamane. And Jesus himself called out to His Father, "My God, My God, why have you forsaken me?" Of course He hadn't abandoned Him. But even Jesus, the human son who was God, felt abandoned. Sometimes, in real life, we can feel like we've been abandoned. Sometimes, in real life, God allows us to feel that in order to draw us closer. In order to attach more firmly to us. “Attachment parenting” has come to have broader meanings than it used to have. A false dichotomy has been set up by some users of this parenting term.They say that they want to propagate “teaching through attachment” vs. “using rewards and consequences.” Life is full of rewards and consequences. There have been very real consequences for our actions since the Garden of Eden. Parents who are attached--truly tuned in and understanding of their children--will quickly recognize that children need to be taught how to handle the rewards and consequences of life with virtue. And that is our duty as Catholic parents. Nothing can be called "Catholic Attachment Parenting" if we don't intentionally set about train our children in virtue. Children are not born adults. They are born persons. Young, immature persons who desperately need the firm and loving guidance of their parents in order to make wise choices and to grow in wisdom and stature. The Catholic AP list moms, "wonder if it is possible to merge [Elizabeth's] orderly home/life style with complete surrender to attachment parenting and abandonment of punishment." I am not completely surrendered to any parenting philosophy developed by man. I am completely surrendered to the will of God. Big difference. I will not dig in my heels over an "Attachment Parenting" checklist (that seems to change) to the detriment of my children's moral development. Furthermore, my goal here is not to be Attached Parent of the Year; it is to raise godly men and women who will bring glory to their Lord.My babies (and sometimes big kids;-) sleep in my bed. I'm nursing a toddler through a hyperemesis pregnancy in order to tandem nurse for the fifth time. I've never hired a babysitter. We don't spank. We take our kids with us everywhere, particularly when they are younger than three. I think we're pretty attached according to Attachment Parenting as I first understood it. I love Sally's term for her approach to training a child to meet the rewards and punishments of life: It's grace-based parenting;it's Heartfelt Discipline. Attachment parenting is simple when the children are very young. It's not easy, but is simple. You meet their wants and so you meet their needs. You pour out yourself body and soul for little ones who rely on you for their everything. It's hard physical labor, demanding as it is rewarding. This is your body, given up for them. And then it gets more difficult. I've always thought that home education is the logical progression after attachment parenting babies and preschoolers. We still want to stay connected in order to effectively nurture our children and home education affords us the opportunity of huge quantities of time in which to do that. We need every minute of that time because it's been my experience that it comes as quite a shock to a child to learn that the world doesn't revolve around him. And he learns it when he's eighteen months, again when he's about five and in a very big way at fourteen. Every step of the way, the attached parent nurtures and disciples the child. She teaches him, first through her own example and then through careful training and discipline, that he is here on earth to know, love, and serve God. Only. That's it. In order to live up to that calling, the child is going to need a huge quantity of virtue. And he's not going to get it by demanding it;nor will he get it simply by breathing the air. Someone is going to have to truly put the child's needs first and do the hard work of training him in virtue. Charlotte Mason wrote that education is an atmosphere, a discipline, and a life. So, when the moms at the Catholic AP List wonder if it's possible to have an orderly home and lovely lifestyle merge with "complete surrender to attachment parenting and abandonment of punishment," I tell them that an orderly home and lovely lifestyle support a family striving for holiness. I contend that an orderly home and a lovely atmosphere, together with attachment parenting and the expectation that a child will live up to the high moral standards of a family render punishment almost unnecessary. I also respect the fact that sometimes I will be called to punish in order to teach. An orderly home provides the child much-needed structure. There is enormous comfort in a rhythmic family life. An attached parent brings the child into the rhythm of the family--not the other way around. If there is an established and thoughtful and well-guarded family rhythm, the new child relaxes into that and is secure in its predictability. If chaos is the standard operating mode, the child quickly becomes a chaotic tyrant. Attachment parenting does not mean that one is ruled by an immature infant. It means that a mother intentionally sacrifices to meet the needs of her baby and to ensure that he always is safe and secure. But she is the big person. She is in charge. And he is very, very grateful for that. The Catholic AP List moms say that they are trying to do away with consequences. I think that is an unhealthy idea. Why would we want to do away with consequences? If my husband decides not to go to work, there are consequences. If I don't clean the kitchen for several days, there are consequences. If we give in to our passions and commit mortal sins, there are eternal consequences. Why in the world would you want to raise a child in an artificial environment devoid of consequences? I'm not into complicated reward and punishment lists. I've never had one. We have no token economy, no complicated system of rewards and punishments. We just have real life and there are rewards and punishments aplenty built into authentic family life. I don't believe that in a healthy family, chores are optional and nothing should be "required"of a child. One of my chores is driving to soccer practice. There are lots of days I don't feel like making that rush hour drive. I do it because it's important to my children and because deep-down I know there is value in it.It's difficult to remember that value when it's 4 o'clock in the afternoon and I'm exhausted and really just want to sleep. But I'm a grownup and someone taught me to do my duty even when I don't feel like it. And soccer carpooling is my duty. I think it's asking a lot to expect an eight-year-old to grasp that emptying the dishwasher promptly is important to the family and has inherent value. I explain that concept (several times, actually), but then I require it. And I draw the correlation. "If you can't help me in the kitchen, I will be here doing this chore when it's time to leave for soccer." Are these consequences? Am I threatening punishment? I don't know. I don't think about it too much. It's reality. There are only so many hours in the day. We all have to chip in. It's part of living in community. I do not believe that attachment parenting excludes any discipline at all any more than I believe that unschooling excludes requiring a child to do certain academic things. That same eight-year-old doesn't know that if he refuses to do any math at all for several years, it's going to be much harder to "get it" and get enough of it when he figures out that he needs math in order to achieve his long-term goals. And then there's also that sticky little issue of compliance with state law. I'm all for following rabbit trails and keying into children's strengths. I'm all for gentle learning and lots of individual attention and guidance. I'm all for staying attached and knowing your child so well that you can discern the best of the best for him educationally. I also understand the times in life when we need to be in “survival mode,” only doing the bare essentials. And I believe in mercy and grace. I'm not for letting the child decide if he's going to work or not depending on whether it's entertaining or fun enough. Sometimes, life isn't fun; that's when we have an opportunity to practice cheerful obedience in the spirit of St. Therese. So, no, I don't believe that an orderly home and lovely atmosphere are at all at odds with meeting the needs of our children in a healthy manner. Indeed, I believe that order and atmosphere support healthy attachment. I believe that much sacrifice is asked of a parent as she endeavors to raise a child in faith and grace. And one thing that a parent needs to remember as she continually sacrifices for the welfare of her child is that she must be mindful of her duty to make him strong so that he, in turn, will grow up to be a man who continually sacrifices for another in faith, with grace. For more on this topic, see last week's Herald column. Every summer, I return to a handful of familiar books and revel in the reunion. These are the standbys, the sure things, the books that remind me of what I really want from my home life, particularly from my home education adventure. 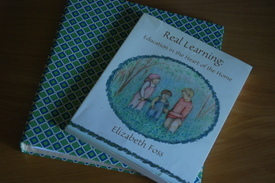 I re-read Educating the Wholehearted Child and sing with the joy Sally Clarkson exudes. I remember that the important things in a child's education are not at all difficult to provide. I first read this book about eleven years ago. There were far fewer choices on the home education landscape back then and most of them replicated school at home. Sally spoke sense to me. She gave voice to what I knew to be true and she offered me the wisdom of her experience. Sally weaves a real books education into a real--and very rich--family-centered life of faith. Hers is a grace-based approach to children. I have this book memorized in parts but I still like to return to it every summer and remind myself what matters most. I also read Designing Your Own Classical Curriculum. I'm fairly certain that the book on my shelf is my third copy. The first was given to me by my friend Margaret when Christian was an infant. It was a true original run--copied on a copy machine and stapled down the middle. Laura Berquist had sent a few of these out into the world when this was a fresh idea in home education. Still, Laura's children at the time were much further along the educational path than mine and Margaret clearly knew what she was doing with hers. I had much to learn from them and learn I did. Now, fifteen years later, we can all clearly see that Laura's plan and Mother of Divine Grace programs have been very successful over time. I know lots of kids who have been educated Laura Berquist-style and have gone on to do very well in college and beyond. She's proven herself to be well worth a fresh reading every summer. Last summer, I added Donna Simmons' Waldorf Curriculum Overview for Homeschoolers to the list. I found this book to be refreshingly inspiring and very encouraging. Donna's warm wisdom reminds me to keep art and beauty, the rhythm of the days and the seasons, the natural wonder of the child, at the forefront when I plan and ponder. There's something about Waldorf that always slows me down, softens my breathing, and helps me remember that some of my children are still very young and very much in need of gentle rhythms. Usually, I also pick through my Original Homeschooling Series. This set of six volumes of Charlotte Mason's writings is dog-eared and well-loved. It's highlighted, post-it noted and sometimes committed to memory. Charlotte Mason's wisdom is unparalleled in the world of education, particularly home education. I don't re-read the whole series; I just find my notes throughout. This summer, though, I am going to focus on Charlotte Mason a bit more narrowly. The good folks at Simply Charlotte Mason have made available some e-books which are beautifully edited. It's as if they took my ratty paperback volumes, found every quote I consider worthy of re-reading, and organized them perfectly. I began with one titled Education Is.. It matters not that my own book has a chapter with the same subtitles; this book focuses it all for me anew. (And besides, I'm not much on re-reading my own book--I know what it says:-). From there, I'm moving on to Laying Down the Rails: a Charlotte Mason Habits Handbook. THIS is the perfect summer book! This is a beautiful reminder of all those virtues we wish to instill in our children before they leave home. My only problem is that I want to work on all of them right now, and have those tracks well-laid by summer's end. The book is mostly Charlotte Mason quotes and it begs conversation with like-minded moms. We can do conversation! My thought is to begin a summertime book study. We can read the free ebook first and then move on to Laying Down the Rails.. Then, I'd love to see us move on to Hours in the Out-of-Doors in the early autumn. Charlotte Mason was a wise woman. She saw the whole child and understood that the family, the atmosphere, the developmental stage of the child, and the unique call of every Christian all work together to educate a child. She doesn't neglect any of these factors. She is no-nonsense in her insistence that parents do their duty to teach their children well. It's all so very sensible. So, download away at Simply Charlotte Mason. I'm looking forward to reading your thoughts about a Charlotte Mason Education. We can inspire each other to raise and educate happy, healthy, holy children for the glory of God!